Eugene K. Pentimonti has been named vice president, Engineering at American President Lines, Ltd., Oakland, Calif. His responsibilities include overseeing all engineering design and construction of vessels, f a c i l i t i e s and equipment. Mr. Pentimonti joined American Mail Line (which subsequently merged into APL) in 1972. He has served as director of engineering for APL since 1973, concentrating on the engineering aspects of the company's shift to containerization in the early 70s. 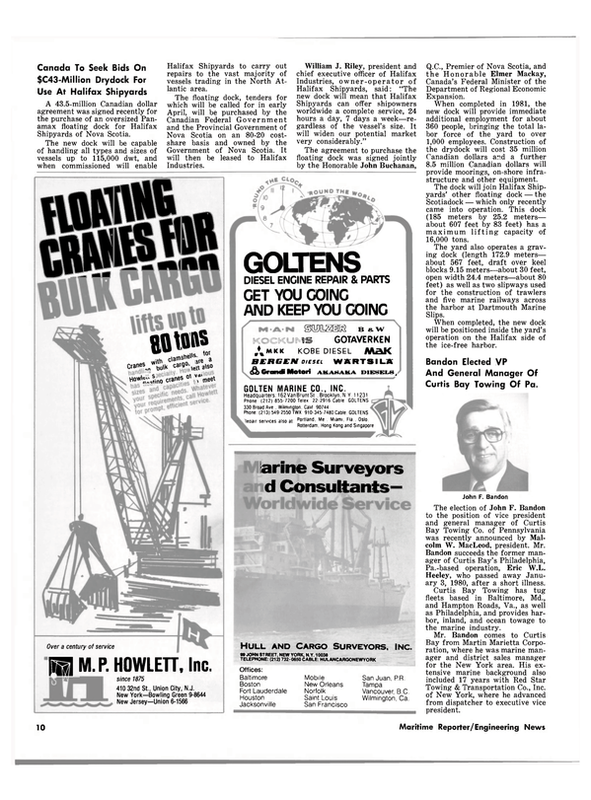 More r e c e n t l y , Mr. Kozlowski said, Mr. Pentimonti has played an integral part in evaluation and design of the company's three new diesel-powered C-9 containerships (1,247 forty-foot container capacitv), scheduled for delivery in 1982. Mr. Pentimonti is a graduate of the U.S. Merchant Marine Academy, Kings Point, N.Y., and the Massachusetts Institute of Technology. Prior to joining APL, he sailed as an engineer and worked in a Seattle shipyard. He is based at the company's headquarters in Oakland.